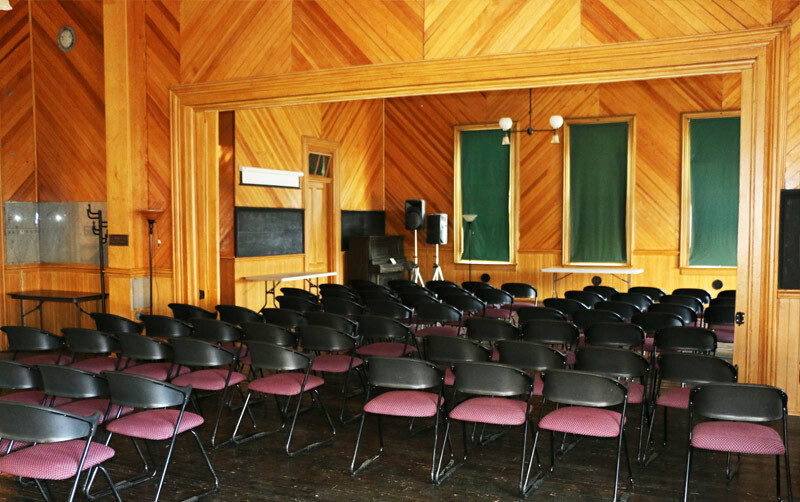 The Historic Fourth Ward School & Museum is a unique setting for both large and small events and enhances the success of your endeavor. Experience the mystique of the Comstock and the inspiration of a National Historic Landmark through offering this spectacular venue for your event. Pricing is affordable. Special pricing is available for government entities and non-profits. Parking is free in the adjacent lot, and the building is handicapped accessible. Ideal location for business conferences, seminars, meetings. Perfect for awards banquets, family celebrations, and small weddings. One look out the east windows tells you that you are in a special place. Your guests and attendees will appreciate your thoughtfulness in choosing a venue that separates them from the rush and crowding of the big city and the distraction of their workplace. This great hall seats an audience of 100 comfortably or accommodates tables for up to 65 for a grand buffet or sit-down meal. Restored in 2001, the room gives you a look of at the original 1876 design. 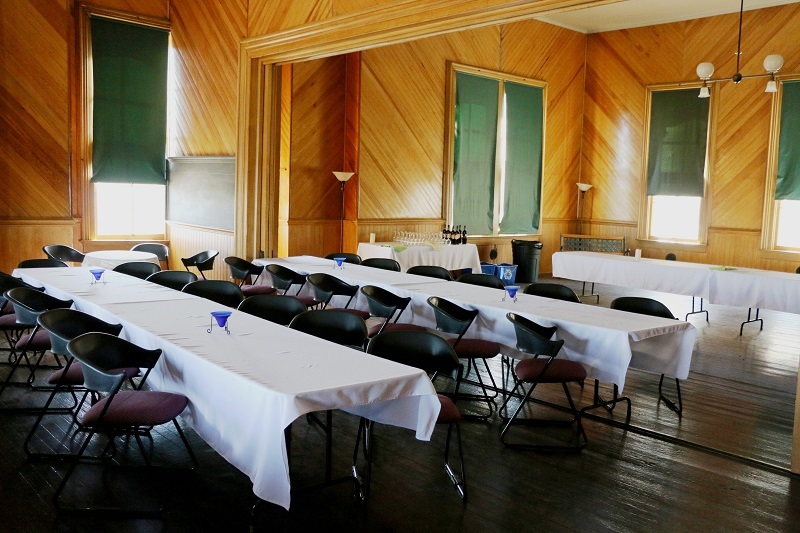 This large, contiguous space is perfect for receptions, meetings, lunches and other special events. The view from this room is breathtaking and unobstructed out to the eastern horizon. 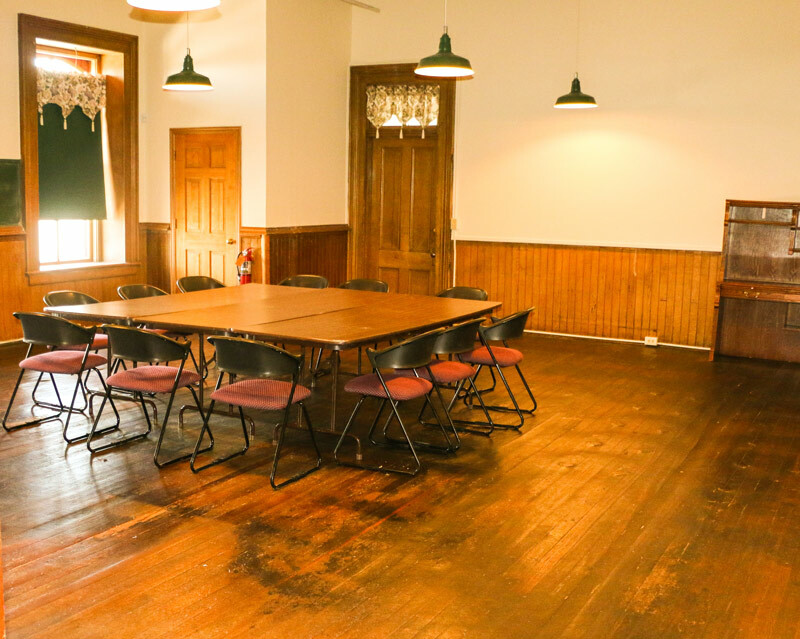 This room is perfect for smaller meetings comfortably seating up to 40 people. 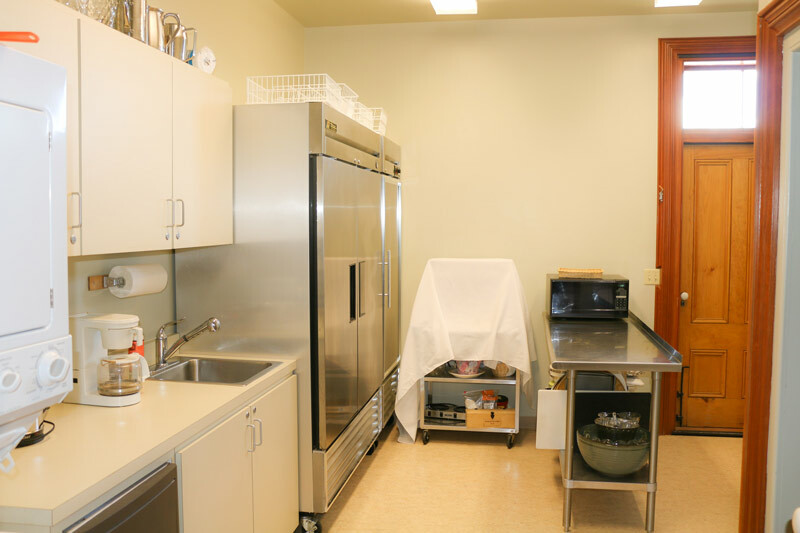 The catering kitchen is state-of-the-art with commercial ice-maker, warming oven and refrigerator. It has ample preparation space and an expansive commercial sink area. Located adjacent to the elevator with easy access to all meeting spaces, it also has a six-foot high, multiple tray holder to speed service to any room in the building. In 2004 the original “Water Closet” tower was rebuilt. 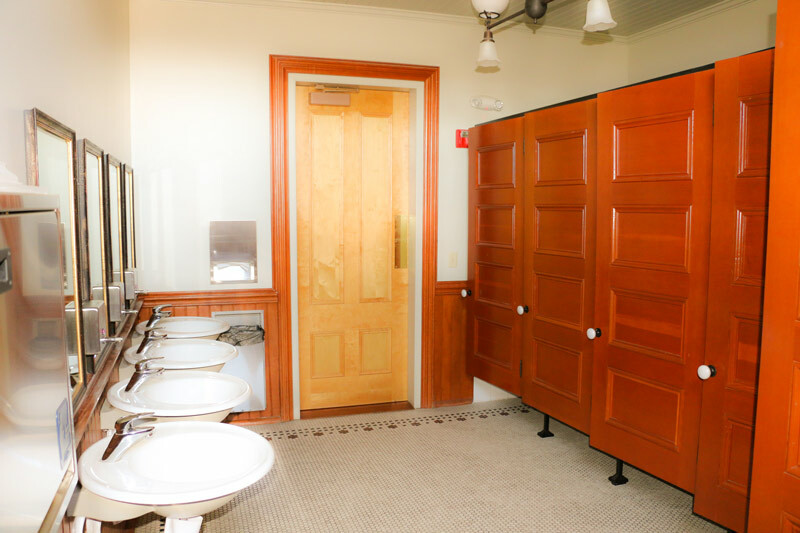 The school was a model for bathroom facilities in 1876 with in-door plumbing and flush toilets. The modern bathrooms harken back to the days of the Comstock.